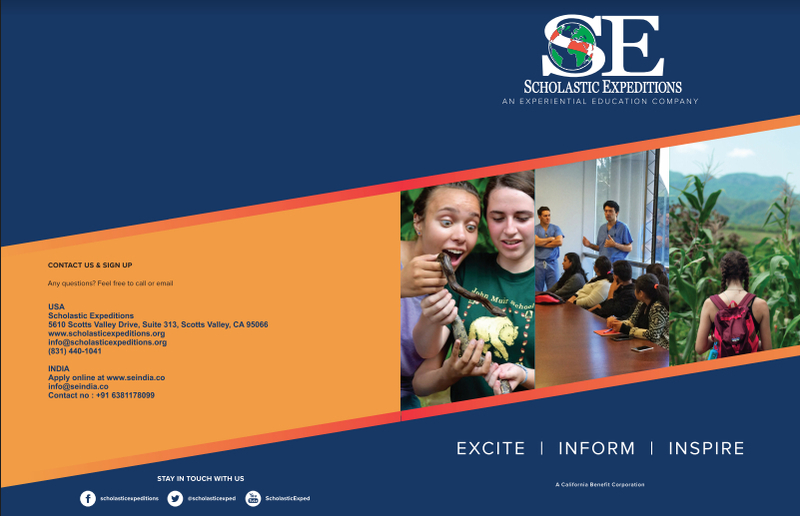 Scholastic Expeditions (SE) is a leader in experiential education. Through international travel and cultural immersion, we partner with top-notch universities and distinguished experts to jump-start your career in technology, medicine, media, and the environment. SE is proud to help cultivate the next generation of globally minded leaders, innovators, and change makers. As one of the original founders of Scholastic Expeditions, Susan has been passionate about student travel her entire life. She spent her junior year of high school abroad as a Rotary Foreign Exchange student-- a time that she now reflects back on as one of the most defining periods of her life. She discovered a gift for languages and a love of culture that continues unabated to this day. Subsequent expeditions doing field research in Mexico during her college years and exploring over twenty other countries in the course of her travels have led seamlessly into Susan’s career, seeding it with a rich history of hands-on world studies. In college, her subjects were Political Science and Biology, both of which have made themselves useful in her current role with Scholastic Expeditions. You will find Susan wearing many hats within the organization, as she is interested in all aspects of educational travel. She is exceptionally proud of what Scholastic Expeditions has become, and loves seeing the looks on kid’s faces when they are experiencing the amazing flora and fauna of Costa Rica. To her, there is nothing better than hearing from a teacher that, yet another student has been influenced to continue in the life sciences or has been inspired to activism as a result of their experience on their program. She looks forward to developing more programs involving hands-on science in thrilling destinations that promote conservation and eco-economies as a force of global conservation. 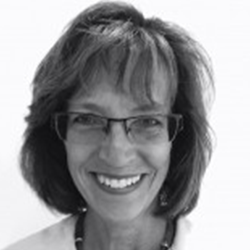 Susan has broad experience in education, science and travel. Wanderlust, combined with decades of literacy and language learning advocacy, fueled her journey to Scholastic Expeditions (SE). Her areas of focus ensure SE customer satisfaction. A BS in Biochemistry from UC Davis enabled an early stint as scientist at a biotech startup. (1) Susan went on to become a high school science teacher. Improving materials and lab opportunities was at the center of her classrooms. Earning an MS in Education from Cal State East Bay, Susan mentored many colleagues along the way. Teaching AP Biology, she tripled the number and success rate of students’ rigorous learning as measured by the College Board. 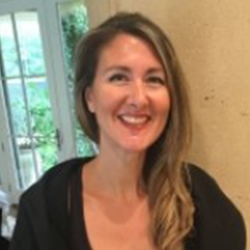 Empowered by innovative curriculum (2), Susan led a successful drive for wider access to college preparatory pathways in the Livermore, CA school district. An outdoor enthusiast, Susan believes collaborative learning and experiential education are building blocks to produce accomplished citizen scientists. Her students pioneered SE’s popular exploration trip to the Channel Islands. This unique coastal site was chosen because it offers many chances for discovery learning in a richly diverse Pacific marine ecosystem. Susan also led students on a comparative SE journey through Costa Rica and Panama, where anthropology collides with ecology in two beautiful but very different rain-forested countries. After a successful career in public education, Susan has the opportunity as SE Curriculum Development Director to dive deeper into her particular passions. She is committed to both protecting our natural legacy and exposing future generations to educational experiences inside and outside the classroom, as SE offers a world of opportunities to shape 21st century learners. 1 R.E. Smith, J.W. Talhouk, E.E. Brown, S.E. Edgar, “The Significance of Hypersialylation of Dipeptidyl Peptidase IV (CD26) in the Inhibition of Its Activity by Tat and Other Cationic Peptides.” AIDS Research and Human Retroviruses, vol. 14, no. 10, pp. 851-868, 1 July, 1998. 2 Dr. Angelica Stacy, UC Berkeley chemistry professor, in association with the Lawrence Berkeley Hall of Science, Living By Chemistry, W.H.Freeman &Co., 2012. Heather began working for Scholastic Expeditions after an amazing experience accompanying her daughter on the Costa Rica Program. Education and travel have always been passions for Heather. She's traveled to 28 countries and lived in England, Guatemala, and Mexico. Her Political Science degree from University of San Diego concentrated on International Relations, and she studied abroad with programs in Oxford, England and Cuernavaca, Mexico. Heather also interned at the World Affairs Council during college and worked in the International Study Abroad Center as the Student Coordinator for the Oxford Program. 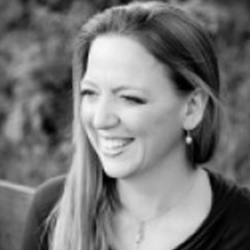 Heather later spent her career in social work with the American Red Cross and County Health & Human Services. While continuing her education in community and international services at the Red Cross and Sacramento State University, Heather also pursued opportunities to engage in her kids' education in and out of school. She’s volunteered in classrooms, taught art to students, organized school international festivals, and remains a parent lead and advisory council member for a local youth-driven community service organization. With her position at Scholastic Expeditions she sees an exciting return to combining her passions of education and travel. She finds great opportunity in helping teachers, kids, and parents explore the unique and life changing experiences that Scholastic Expeditions enrichment programs offer. Nate had his first student travel experience in high school when he embarked on a life-changing month-long expedition through the Rocky Mountains. Ever since, Nate has been on a mission to bring travel and experiential education opportunities to others. Nate earned a degree in Recreation and Outdoor Education, which involved a semester long program training under a master educator of the Wilderness Education Association. He then returned to his home town to work at the Channel Islands National Park, where he led trips and managed sales for a local tourism and outdoor education company. 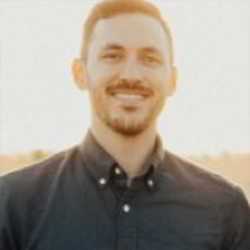 Now representing Scholastic Expeditions, Nate helps connect students and teachers with the expeditions that best fit their goals, always with the mission to bring their studies to life and to expand their horizons beyond what they knew was possible. 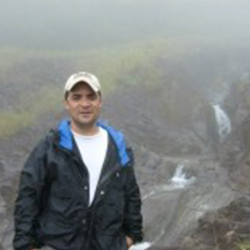 Nacho is a born and raised Costa Rican who has been interested and involved in the natural sciences since he was a child. Even though he grew up in San Jose, the capital city located in the Central Valley, his access to two oceans provided the perfect inspiration to become the marine biologist he is today. Nacho comes to Scholastic Expeditions with a vast and varied background in outdoor science education. He has worked for over 20 years as an Environmental Consultant and Environmental Educator. He has performed numerous services in both tourism and with rural communities doing Community Development Projects. Nacho has led and continues to lead students on programs throughout his country’s many ecosystems. He loves his job as it unites his dual passions for teaching ecology and his beloved Costa Rica! Nacho creates and develops all Scholastic Expeditions hands-on curriculum and trains our guides on any necessary methodologies. Kira has always been drawn to the outdoors. She grew up at the base of Mt. Tamalpais, just a short drive from Muir Woods in Northern California. Her oldest memories are of her running through the forest, staring up at the trees. With every outdoor education experience Kira's schools provided, her love for nature and passion for environmentalism grew. As a result, Kira attended a 4-month Marine Biology program on Cape Eleuthera, Bahamas during her junior year of High School. While there, Kira lived on a self-sustainable, community-based campus and worked with shark biologists at the neighboring research institute. She returned from her semester inspired and motivated to influence positive change in the world. Kira graduated from University of California, Santa Cruz with a double major in Environmental Studies and Legal Studies with a focus in Environmental Policy. Eager to fuel conservation efforts through legislation, Kira interned for the Santa Cruz City Council and subsequently, the California State Senate. During her college tenure, Kira also worked for the university as the undergraduate tutor for three prerequisite Environmental Studies courses: Ecology & Evolution, Environmental Policy & Economics, and The Physical & Chemical Environment. Through tutoring, she discovered her enthusiasm for working with students. Kira joined Scholastic Expeditions in January 2018. 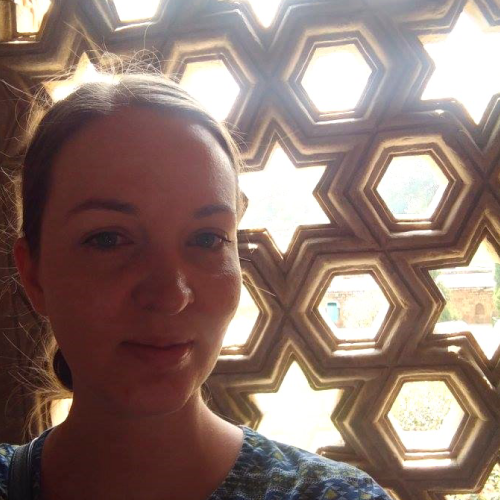 She spent her first 7 months with SE promoting our inbound programs in Chennai, India. Since her return, she has been supporting outbound business development efforts while maintaining her work growing markets in India and Sri Lanka. Kira enjoys trekking, camping, exploring new terrains, and learning about different cultures. But there is nothing that makes Kira happier than swimming in the ocean. Gabriel (Gabe, for short) has had a lifelong passion for travel, science, and learning at every opportunity. His grandfather took him and his brother traveling all around the world, always visiting new places with the intent to learn everything they could from the experience. He grew up in Los Angeles, and in high school he exceled at biology and writing. He went on to receive a BS in Aquatic Biology from UC Santa Barbara. As a college student, he worked at the school’s REEF aquarium, where he fell in love with bringing the magic of the ocean to the next generation of scientists and informed citizens. Gabe was also the REEF’s Abalone Aquarist, working to help two endangered species of marine snails, the Black and White Abalone, to recover from dangerously low populations due to overfishing, disease, and climate change. He has interned at the Aquarium of the Pacific, and conducted research at both UCSB’s Parasitology Lab, and at the Crocodile Research Coalition in Placencia, Belize. 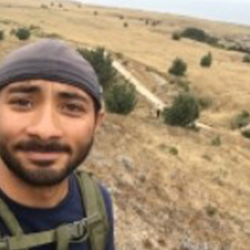 Gabe has been an instructor for Scholastic Expeditions since 2016. As a lover of all things invertebrate, he helps connect students with the creepy-crawly, sometimes alien-looking, but always amazing animals lying just below the water’s surface. Gabe has also joined the marketing team to help bring the amazing experiences offered by Scholastic Expeditions to schools and students who haven’t yet been on our one-of-a-kind trips before. He enjoys reading, tide-pooling, playing tennis, diving, and listening to metal music. His favorite phylum is Arthropoda, and he thinks pandas are overrated. In addition to SE, Gabe currently works at the California Department of Fish and Wildlife collecting data for recreational fishery management purposes. He also volunteers at the Aquarium of the Bay as a diver, and at the Steinhart Aquarium in the Cal Academy of Sciences in the husbandry department. Joanna (Jo for short) hails from the grain belt. Growing up in Lincoln Nebraska she learned to love playing and exploring nature and the wildlife of the region. From family camping trips to regional road trips she got to experience from a young age how nature and human society affect each other. She showed horses throughout her middle and high school career as an active member of the 4-H Program. After high school she attended the University of Nebraska-Lincoln to study animal science. Fast forward 10 years and Joanna found herself traveling to India, her first foray into the eastern lifestyle. Upon returning to the states she was adamant to make India a part of her life. 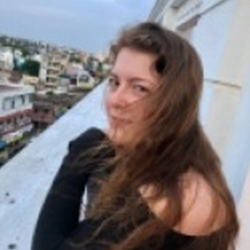 A year later she was back on a plane leaving the corn-fed confines of Nebraska and moving to Bangalore to pursue a career in experiential education. Her travels abroad stirred a passion within her to share amazing experiences while adapting educational concepts to your surroundings. Jo joined SE in September of 2018. She heads up our India base of operations while promoting our Innovation programs to Indian students and faculty.